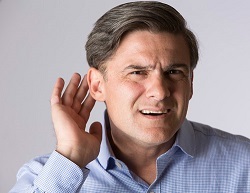 Blog: ANC | Avcomm Solutions, Inc.
High-noise work environments can be intense. Whether it’s driving down the road in an 18-wheeler or working in a noisy warehouse – and other similarly loud environments – error-free communication and collaboration is challenging. Most of us are faced with colleague interruptions that impact productivity, but workers in high-noise environments are also faced with interruptions from equipment, or unconventional surroundings. 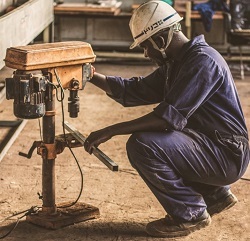 Safety regulations in the workplace are progressively more restrictive and workers in high-noise environments have indicated that easy, hands-free group communication is of the utmost importance. 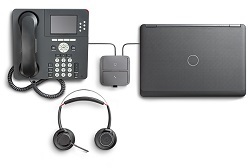 BlueParrott mobility-focused headsets are solving these challenges for people in a variety of industries: professional drivers, utility technicians, retail floor help, hotel housekeepers and concierge staff, and warehouse order pickers. 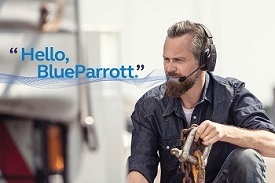 BlueParrott, a leader in intelligent and rugged headsets, offers microphones with unrivaled noise-cancelling technology and deliver superior call quality in high-noise environments. 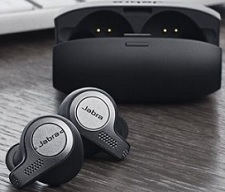 These headsets connect to rugged smartphones, tablets and mobile computers, land mobile radios, handheld scanners, and other mobile devices. Professional truck drivers have preferred BlueParrott headsets for years. 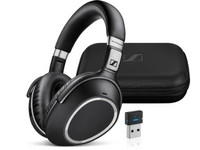 Strong and stable enough for life on the road, the wireless Bluetooth headsets feature long battery life and up to 24 hours of talk time (depending upon the headset). With hands-free call and text bans in effect around the U.S., drivers of all kinds – from local delivery drivers to Over-the-Road truckers – must use headsets for communicating. Some of the top choices for drivers are B450-XT, B350XT and the B250-XT or B250-XTS. 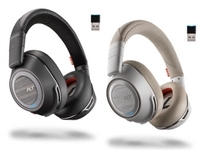 Another recommended headset is new to the market: the B550-XT, the world’s first 100% hands-free headset. Simply by saying “Hello BlueParrott,” tell your headset to “Call” contacts within your phone’s Address Book. 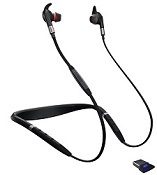 In addition, the C400-XT is a great choice for people who prefer a choice in wearing style: the C400-XT can be worn behind the neck (over the left or right ears), and over-the-head. Construction workers, foremen, linemen, and others who work on job sites would all benefit from the use of these same headsets. 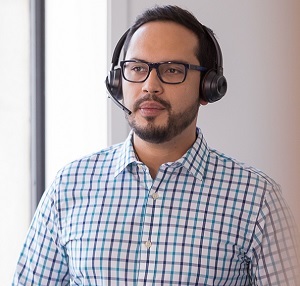 The C400-XT is the perfect hands-free, Bluetooth-enabled headset for those who clean hotel rooms, concierge staff, and retail sales floor workers. Its discreet profile, and trio of wearing style options, offer some flexibility and customization. The headset needed for these workers depends upon the picking device that’s being used, and so there are 2 categories for the warehouse worker: Corded or Bluetooth Wireless. Corded headsets include the VR11, VR12, and VR12F, a freezer-rated headset for environments down to -22 degrees. These headsets have been “drop and tumble tested,” having been dropped 8.2 feet onto concrete across the operating temperature range, and tossed 500 times across approximately 3 feet for 1,000 hits. 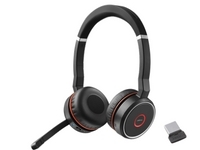 If the connection type needed is Bluetooth, then these wireless headsets are recommended: B550-XT, B450-XT and C400-XT. 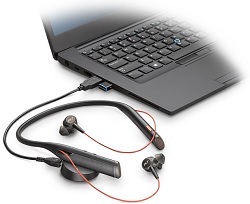 Keep BlueParrott headsets updated (via USB) with the free software program, BlueParrott Updater. Install the BlueParrott Updater on your computer (either PC or Mac), and ensure your BlueParrott headset always has the latest features and functions. The BlueParrott Updater download is available free, here: BlueParrott Updater. The BlueParrott App is available in Apple and Android versions, at no cost. If your headset has a Parrott Button, customize the operation of the Button within the app. The headset is configured out-of-the-box with the Parrott Button configured to mute, and will mute the microphone while both off or on a call. 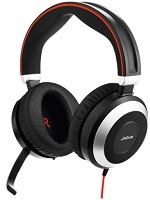 Each headset is protected with a one-year warranty for peace of mind. 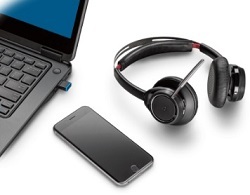 Contact our headset experts about BlueParrott headsets, today: 1-866-998-9991.